Farmers who hold small parcels of land strive to attain high productivity, despite these size of their lands which they have homestead in them too. However, with decreasing land sizes as a result of land subdivision, it is getting more difficult to survive on farming alone. Meru is one of the regions where agricultural land is decreasing day by day as a result of uncontrolled land subdivision. While working with smallholder farmers, ICE has introduced farm planning in her on-farm trainings as a tool for optimal and sustainable farm management. This is helping farmers with small pieces of land to diversify their farming system and thereby increasing their family income. Mrs. Damaris Mwirigi, of Gakumbo village, Ntima West Ward in Meru County is one of beneficiaries of ICE trainings. Her group, Mwingene Group was engaged by ICE in 2014 and today, after exactly two years of engagement, she is a happy farmer as result of the benefits she has reaped. Damaris has changed her entire approach to farming, remarkably, since she started Farm Planning. Her farm is about 1/2 acres, in which she has a dairy cow grows arrow roots, beans, maize, and various vegetables. This mixed farming diversifies her income and reduces risk of failure through diversified risks. Her external food inputs have decreased considerably as most of all her inputs are from the farm. 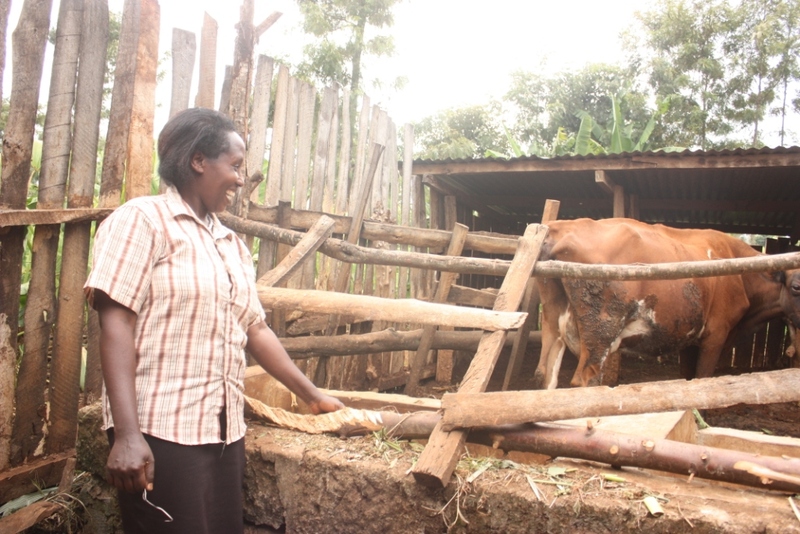 Her farm has become a self-sustaining system where the product, waste and by product of either crops or the cow is an input for the other. 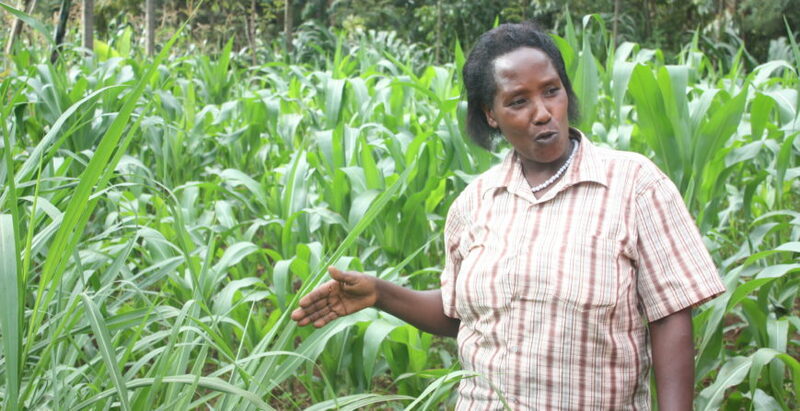 “I use organic manure, which gives a good result for soil fertility’’, says Damaris. Damaris is very clear about the benefits of farm planning on her farm and life: “After farm planning I have better results and I am more focused in my work’ she says. However, she admits that in the beginning it was not easy due to intensive labour requirement. At the end of every season, Mrs. Damaris evaluates her farm, to plan for the next season. This includes deciding on what crops to rotate in different plots she has divided on her farm. In addition to the farm planning skills, Damaris has benefited from trainings on preparing compost manure, agro-forestry and diversification of sources of livelihoods. With these skills she no longer relies on external inputs /chemical fertilizers for her farm. The results have been amazing. She has maximized her profit by reducing costs and increasing productivity through diversification and application of best farm plan possible. This has allowed her to farm in an efficient, sustainable and environmentally conscious manner. Damaris a mother of three says she engages her children in the farm. This transfers knowledge on need for diversification, sustainable organic farming and optimal use of land. The children happily enjoy being engaged in the farming activities as they benefit from it as some of their needs (for example education) are paid for using the income earned from the farm.